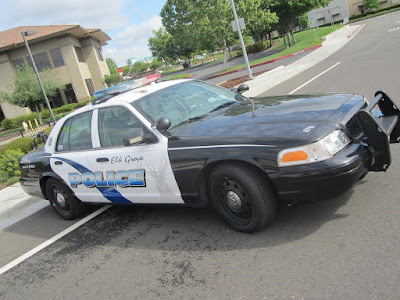 For the three day period ending Sunday, June 10, Elk Grove Police contacted and took four suspects with outstanding arrest warrants into custody. On Friday, June 8, Amos Loto, 22, of Sacramento was contacted on Laguna Boulevard near Laguna Main Street after his car was found to have motor vehicle violation. A record search revealed the outstanding warrant for burglary charges. Two suspects were arrested in one contact on Saturday, June 9 when Marina Lopez, 24, and Paul Martinez, 32, both of Sacramento were contacted in a parked car on the 9100 block of West Stockton Boulevard. Martinez allegedly provided false identity, but after determining his actual identity, police learned both had outstanding warrants for their arrests. The final arrest came on the morning of Sunday, June 10 when police contacted a known probationer, Cameron Peckham, 34 of Elk Grove near Franklin Boulevard and Laguna Park Drive. A follow-up check revealed that in addition to being on probation, Peckham had an arrest warrant. Peckham has been released, but the three other suspects remain in custody not eligible for immediate release.